BRISTOL - Wireless Zone of Bristol is a full-service Verizon-only retailer, offering all Verizon products and services Verizon. The owner is Steve Nowak, who also owns Wireless Zone of Southington, Wireless Zone of East Haven, and Wireless Zone of Newington, as well as Great Scot! Car Stereo in Norwich and Northeast Truck & Offroad in New London. Nowak attributes the store’s success to customer service. “We are always looking out for what is best for them. 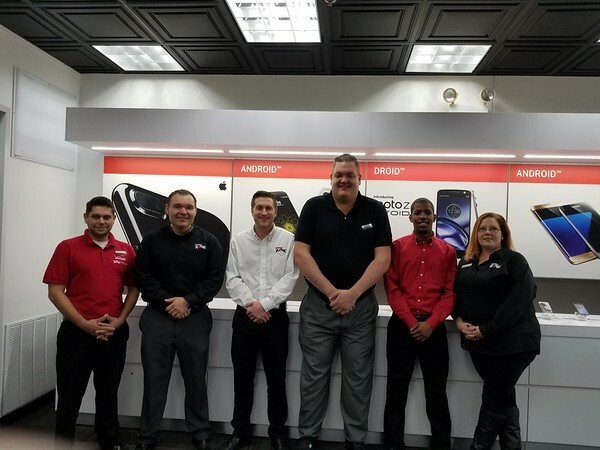 We handle all aspects of the sale from advising the appropriate plans to which devices best suit the customer’s needs,” he said. “Unlike corporately owned locations, we will handle the complete setup of a customer’s device. This includes transferring all of their information, setting up emails, downloading applications, and answering all questions. We do not charge any service fees like most locations. We do not charge setup fees, bill pay fees, or restocking fees,” he continued. Wireless Zone of Bristol is located in the ShopRite Plaza, 1188 Farmington Ave., Bristol, open Monday through Saturday, 9 a.m. to 8 p.m., Sunday, 11 a.m. to 5 p.m.
For more information, call 860-940-6569 or visit . Posted in The Bristol Press, Central CT Chamber of Commerce, on Tuesday, 22 May 2018 21:14. Updated: Tuesday, 22 May 2018 21:16.